I was recently lucky enough to visit South Africa, with the assistance of Launceston Travel and Cruise Centre’s African supplier Bench and South African Airlines. Flights were made easy with South African Airways ex Perth with convenient Virgin Australia connections from Tasmania. My flight into Johannesburg arrived early at 5am, which provided the full day ahead to enjoy the sights of this exciting destination. Bench utilize the services of Ilios travel, which provided a comfortable mini bus service for the 3 hour trip ahead of us to our first stop, Ant’s Nest, located in the Waterberg region in the Limpopo Province. Our 2 night stay was greeted by an extremely friendly team, which welcomed us with an amazing hot breakfast, followed with the options of nature walks, mountain biking or horse riding. Our lodge for our stay was a smaller experience which was accommodating approximately 10 people at the time. 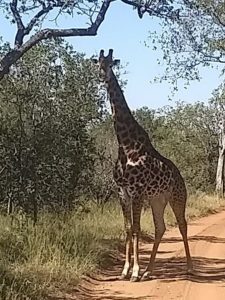 Each day consisted of a choice of 1 or 2 guided game drives, with plenty of sightings of rhino, giraffe and zebra. Each night sundowners are a highlight, with a special experience to be able to sight their new born 1 week old rhino on one of the nights. Bench Africa work closely with our team at Launceston Travel and Cruise Centre to customize your next African trip… All in all, I would highly recommend South Africa in a destination, and can’t wait to visit again. The following stop involved an early sunrise departure for our flight to Cape Town. 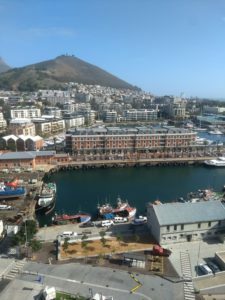 Our stay was the luxurious Cape Grace Hotel on the Cape Town waterfront. This is a classic hotel, with true old world hospitality, with antiques right throughout the lobby and common areas, a huge wine cellar and amazing whiskey bar. The location of the property on the waterfront provides a number of shopping centres, restaurants and bars within close proximity. We experienced an amazing restaurant, called Gold Restaurant, which markets itself as an African taste safari experience. The menu provides you the opportunity to taste a variety of different foods from different regions of Africa. Through the meal, dancers perform a number of traditional African dances and perform local music. Whilst in Cape Town, Ilios Travel again looked after us with a number of fantastic day tours. The first day we experienced a guided city tour which visited local sights such as the Greenmarket Square, a great opportunity to gain a local souvenir and also the Bo-Kaap which was the former Malay Quarter with bright colourful houses in this inner city suburb. The day concluded with a trip up the Table Mountain cable car with amazing views over the city and Atlantic Ocean. Our other day consisted of a full day trip to the Cape of Good Hope and Stellenbosch wineries. 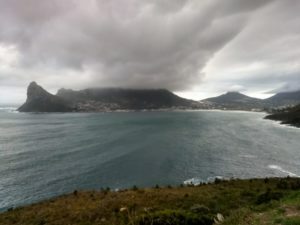 The drive from Cape Town south takes you past some amazing scenery, the day we went there was some huge surf coming in which could be viewed from our mini bus. The drive was spectacular with the roads reminding me of the Amalfi Coast, cradling the cliff faces at times, a real engineering feat. 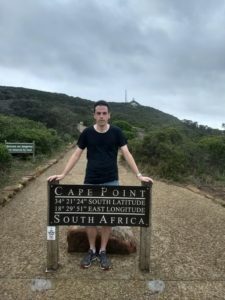 After a walk to the Cape Point lighthouse (approximately 30 minutes return), we visited Boulders Beach which is full of the local Jackass and black footed Penguins. A viewing platform allows you close viewing to see them playing and swimming in the clear waters of this beach. A fantastic finish to the day was experiencing some of the local wines of Stellenbosch. Our last stop was a private game reserve at Kruiger National Park, which was approximately a 3 hour flight from Cape Town. As soon as you arrived you felt as though you were on a real safari with the safari vehicles awaiting you for your airport transfer. Our stay was at the Kapama River Lodge, which was a larger property, with a variety of facility including large open aired restaurants and bars, spa centre and swimming pool. A typical day started with a 6am game drive, which was well worth the early start. The game drives generally went for around 3 hours, which included a coffee / snack stop on the way. The coffee stop always seemed to be at a fantastic location, with one morning sitting on the banks overlooking a group of hippo enjoying themselves in a local waterhole. After the morning game drive back for the buffet breakfast, followed by time chilling by the pool, back for another huge lunch and then they bring out afternoon tea. I think you get my drift, they make sure you don’t go hungry. Then in the afternoon back for an evening game drive before heading back for dinner. The evening game drives always stop for amazing sundowners, where they stop for a couple of gin and tonics, generally with a couple of inquisitive giraffe wondering what these tourists are up to. 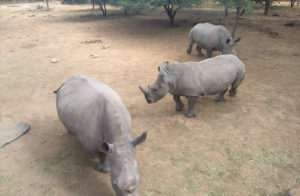 Kapama provided us the opportunity for us to view all of the big 5 animals. The most special moments were to view a Leopard eating a freshly killed Warthog from only metres away; seeing a group of lion and having a herd of around 30 Elephants walking within touching distance of the back of our Safari Vehicle. Bench Africa work closely with our team at Launceston Travel and Cruise Centre to customize your next African trip, with a number of amazing destinations available to combine with what I experienced. All in all, I would highly recommend South Africa in a destination, and can’t wait to visit again.